Inspired by the hot-rodded guitars coming from Southern California builders in the 1980s, Yamaha's Pacifica series has always offered major value in great-sounding, incredibly playable guitars. 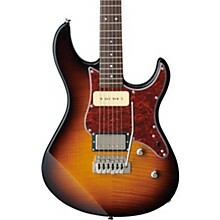 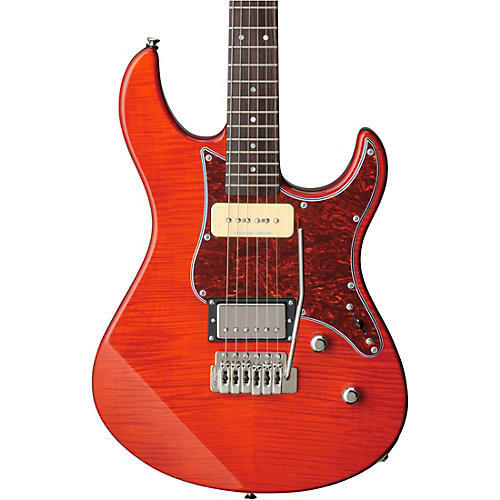 The PAC611 with a Wilkinson tremolo bridge adds a new spin to the mix with a Seymour Duncan SP90 in the neck and a coil-splittable SP-14 Custom 5 Trembucker in the bridge position for an exception range of tones and a unique look. Additional premium features include locking Grover tuners and GraphTech nut for stable tuning and richer tone.